In fact, this was a suggestion that Dineshwar Sharma, the Centre’s representative in the state, made to the government on the day BJP withdrew from the J&K government in June, home ministry sources said. The dissolution of Jammu and Kashmir Assembly is being viewed as a positive development by the security establishment. 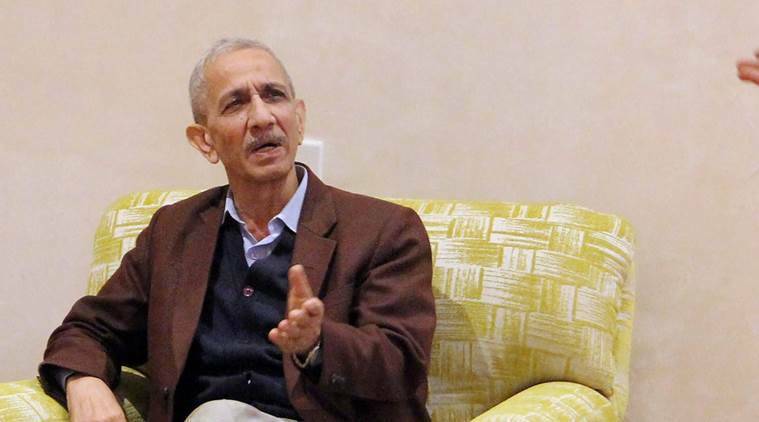 In fact, this was a suggestion that Dineshwar Sharma, the Centre’s representative in the state, made to the government on the day BJP withdrew from the J&K government in June, home ministry sources said. “We believe the dissolution of the Assembly makes way for elections in the next six months. That means parties will hit the ground and there will be more politician-to-people contact. In a democracy, that helps bring down anger. One would hope that if things move smoothly, we should have a better summer next year,” a security establishment officer said. Sources said the fall of the state government actually worked in favour of security agencies, as much of the anger on the streets was directed against the state government. “However, the continuance of the Assembly under a governor’s rule was increasingly seen by Kashmiris as a way of ruling in Kashmir for the next two-and-a -half years through mandarins in Delhi. That is not something Kashmiris appreciate much. Also, any mistake is directly blamed on Delhi,” the official said. He said Sharma had advised the government to dissolve the Assembly and hold fresh polls after the state government fell. “The government, however, felt speedy economic development through a political governor who could also engage with stakeholders would work better,” the official said. The government’s best efforts, however, have not been able to bring down the number of local youths joining militancy significantly, even as attacks by militants have continued with almost the same intensity as when the PDP-BJP government was in power.